YAMA HOTEL & DORMITORY is managed by a joint venture company “Shinsampei Myanmar Co., Ltd” with Japanese companies. 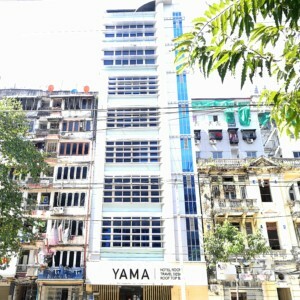 YAMA HOTEL & DORMITORY is a hotel operated by Shinsampei Myanmar Co., Ltd., a local joint venture company of Shinpei Construction Co., Ltd., headquartered in Tokyo.It is possible to consult for the first Myanmar business trip or long term stay in business before traveling in Japan. We will estimate special plans, such as use as company housing.Please feel free to contact us for business support in Myanmar. If you ask urgent questions you can also contact us from the Facebook page’s messenger. Copyright © YAMA HOTEL＆DORMITORY. All Rights Reserved.